Why NT Sports and Playground Surfacing? NT Sports & Playground Surfacing is proudly owned and operated in the Northern Territory of Australia. 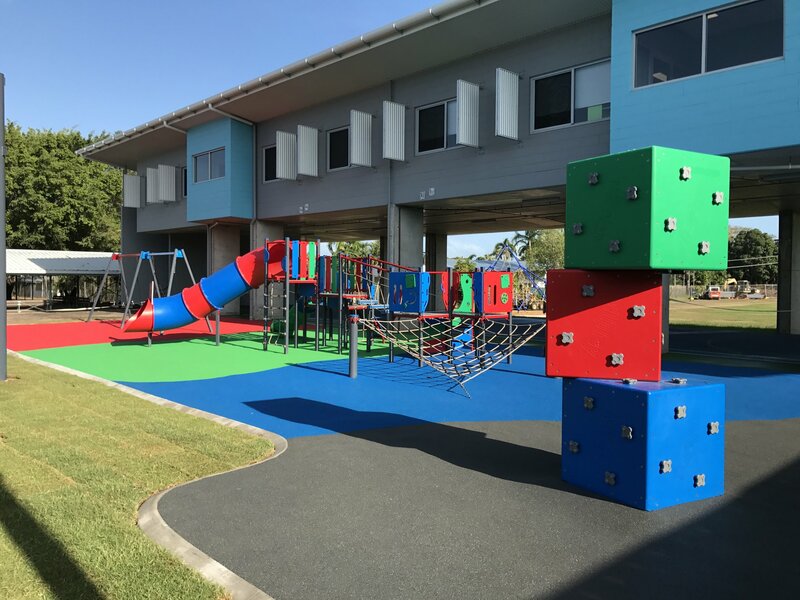 We have grown into a leading supplier and installer of playground equipment, Rosehill TPV® rubberised softfall, inderpendently certified softfall sand, construction and refurbisment of sports courts, design and construction of sports facilities including the supply and install of sports equipment, shade structures, and synthetic turf products. From small domestic jobs to large commercial projects, NT Sports & Playground Surfacing have complete packages from all site works and construction, to supply only and are able to provide a solution for your budget. Currently employing 6 staff, we comply with all Northern Territory Occupational Health and Safety Regulations and hold $20 million product and public liability policies. All staff involved with our installation work have ‘Working with Children’ checks and carry appropriate Construction Safety Awareness (CSA) Certification. NT Sports is all about in-house installation. Our crew combined has over 20 years of experience working within the playground and sports surfacing industries. Along with each individual’s expertise we regularly attend product development conferences, OH&S education, and empower our team with the most current relevant standards relating to the services we provide. Our team is dedicated to the services we provide and possess a strong and driven focus on providing the highest quality standards and products for each project. Each team member has a real interest in their work. It’s not just a job, it’s a passion. We are also CAL accredited, and proud members of Territory Proud and Sports and Play Industry Association Limited. Sports and Play Industry Association Limited is a non-for-profit association that is the peak industry body for sports and recreation construction in Australasia. It was established to promote the best construction standards and business practices. SAPIA members must comply with strict membership criteria and abide by the Association’s Code of Ethics and Constitution.